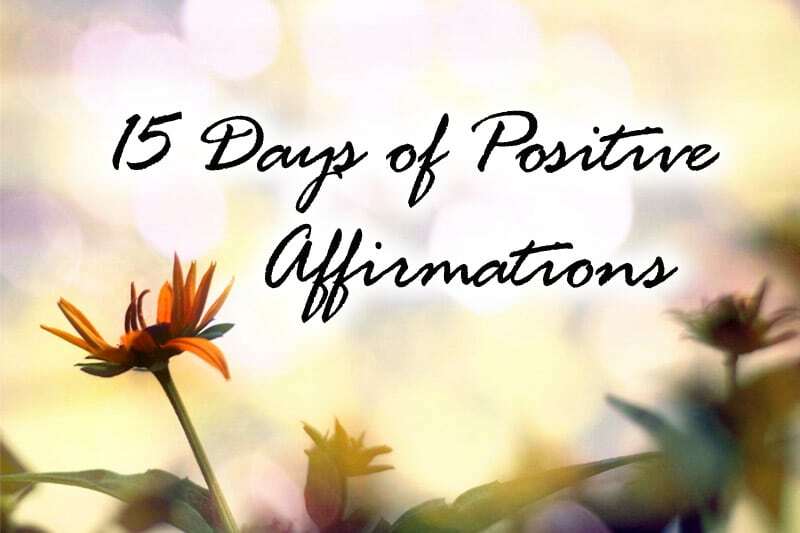 This is Day 13 of the 15-Day Affirmation Challenge where hundreds of participants around the world gather to practice positive affirmations for 15 days in July 2014. The challenge is now over, but you can do the tasks in your own time. 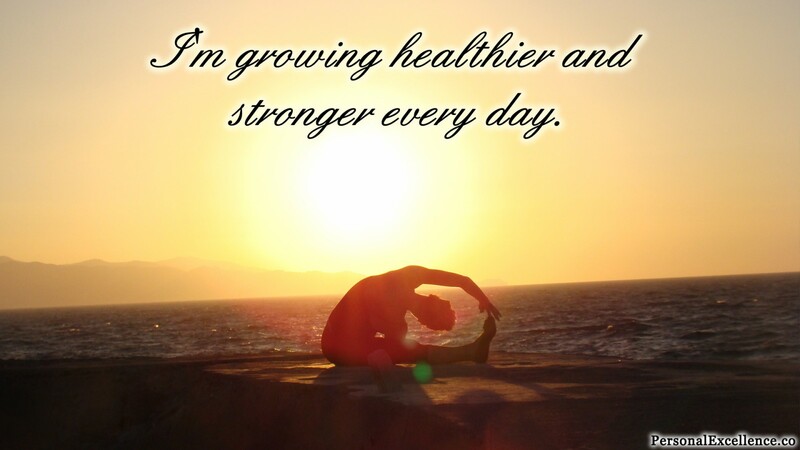 Visit the overview page for all Affirmation Challenge tasks and posts. Dear everyone, welcome to Day 13 of our 15-Day Affirmation Challenge! 😀 Just three more days before our challenge ends (including our break day between Days 14 and 15)! One of the keys to super productivity is not to neglect the non-work areas of your life. That’s because the different areas of our life wheel are intertwined, and a low score in one of our life areas can easily create a ripple impact in our other life areas. One non-work area that people often neglect when the going gets tough, is their health. After all, how many times have you heard the following? I’ve no time to exercise as I need to work today. I’ve been eating a lot of junk food lately as I’ve been feeling stressed out. It’s another night of burning the midnight oil as I’ve a deadline to meet. I’m sick but I’ve no time to rest. I’ll get better in time. The first three statements in particular are statements which I made all the time during my 20s, particularly between my early to mid 20s (before I transited my business to a passive-income model). It was only as I grew older, and as I began to live a more conscious life, that I began to see the interrelatedness of the state of my health on my productivity. For example, even though eating junk food for one evening would “tide me through the night” so to speak and help me to complete my intended tasks for that day, I would always feel extremely bad about myself after that. The next five days would then be spent trying to eat super healthily, exercising, and losing the extra weight I piled onto myself during my emotional eating episode, only for this cycle to repeat itself the next week, the week after, and so on. Now, as a negative habit, this was extremely disruptive. Not only would a good chunk of my energy always be spent on buying junk food to emotional eat, self-hating for emotional eating, and subsequently creating plans to lose my extra calories, I realized that I was constantly held back from tackling higher goals in my business and doing more important things, precisely because I was busy struggling with this low-level issue all the time! Subsequently, I realized that living healthily (which includes eating healthily, exercising, and taking good care of our health) isn’t something that turn a blind eye to since “nothing is broken” (defined as not having a fatal disease). It’s something that we have to do simultaneously while living our life and realizing our goals, because as Jim Rohn once said, “Take care of your body. It’s the only place you have to live.” Without a healthy body, we can’t have a healthy mind. It’s just like how emotional eating naturally leads to negative self-hating thoughts, how not exercising creates lethargy in one’s body and mind, how working for long hours with rest leads to reduced mental clarity. How are we to live our best life if the medium through which we live our life (our physical body) isn’t in its peak condition? While there’s a certain aspect of health that’s not within our control (for example, we can’t control if we are born disabled, if we get struck by life-threatening diseases despite leaving a perfectly healthy lifestyle, or if we inherited certain diseases from our parents), the other aspects, we can control. For example, we can eat healthily (such as reducing to cutting out red meat intake and cutting down on diary consumption), exercise regularly, not smoke, and not drink (excessive) alcohol to reduce the risk of preventable diseases. We can ensure our bodies get enough rest every day, so that we are always at our peak energy to live our days to the fullest. Identify reasons supporting each negative habit. For example, if you stress eat, you may be doing so because you over-pressurize yourself and you lack a proper stress coping mechanism. If you lack exercise, maybe it’s because you prioritize work over your fitness and you don’t have an exercise regime. If you slouch when working, maybe your table is too short for you! Identify steps to correct each negative habit. In line with how you’ve been planning your action steps for previous tasks, what steps can you take to correct each negative habit? Identify them, and include deadlines where applicable!